Ognjen leads a team of five Project Managers and 20 Business Plan Writers. With a passion for Excel tables and the tiniest of details, Ognjen and his team ensure that each deliverable is of outstanding quality and highly personalized. The team’s mission is to always have a remarkable and an ever-evolving product. 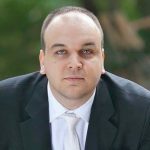 Ognjen’s past experience includes investment management of a six-digit university endowment fund with multiple consecutive years of higher than benchmark returns, as well as work at Deloitte’s Financial Advisory Services department where he was in charge of due diligence and valuation projects.